In between working hard to put the finishing touches on the upcoming new album (are you ready??) and a massive return to the MTV VMAs, AJ, Nick, Howie, Kevin and Brian have hardly been off the radar. Nick, in fact, just traded the Vegas stage for several stages in Mexico and South America, where fans were treated to an impromptu solo tour. Not only did Nick treat the massive crowds to some of his favorite solo hits, but also brought back the Backstreet Boys’ “Don’t Wanna Lose You Now” and the well-loved “I Need You Tonight” to his acoustic set, much to the delight of, well...everyone. Always looking for ways to spend MORE time with fans, Nick even set up events prior to the show for everyone to hang out with him. Wanna see more? Find it all . 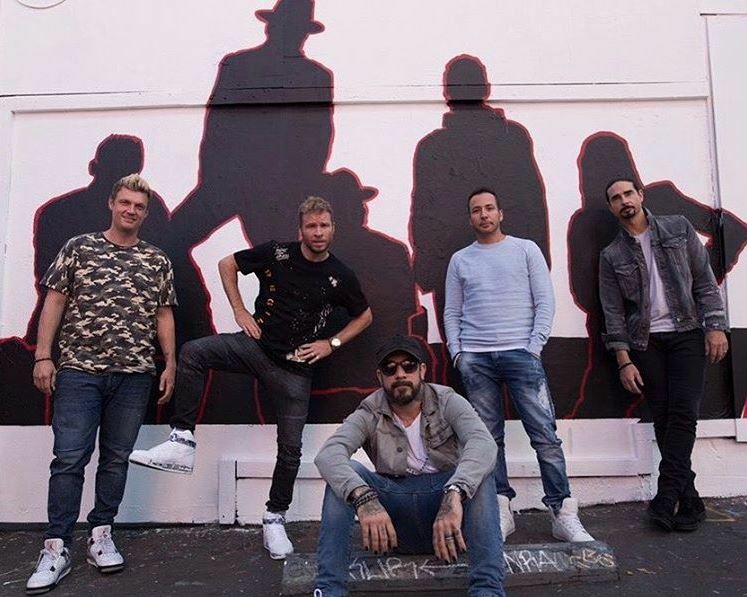 Also taking the BSB “break” to work on his solo music is AJ McLean, who recently dipped his toes into the world of country music. With his single “Backyard Bottle Service” earning favorable reviews, he announced that his next single would be “Night Visions”. He gave fans a glimpse into the shoot and the recording of his album via his Instagram, where he also revealed a line of merch as well. He also garnered major attention last month with his cover of Chris Stapleton’s “Drunkard’s Prayer”. Speaking of AJ, mark your calendars and set your DVRs! He and Howie D. will be appearing on Who Wants To Be A Millionaire on October 15th to show off their trivia skills and (hopefully) raise a large amount of money for St. Jude’s Children’s Research Hospital. Check your local listings for channel and time. The rest of the Backstreet Boys have also been making the best of their time, with Howie celebrating his birthday with family and friends, Brian recently hopping onstage to sing “I Want It That Way” with Lady Antebellum in Atlanta and spending time in Nashville with his son Baylee, who is also working on a solo album, and Kevin cheering on Kentucky Wildcats as usual (and cutting his hair!!). What’s next? You’ll have to stay tuned!